Quotes Find: You can say any foolish thing to a dog, and the dog will give you a look that says, "My God, you're right! I never would've thought of that!" 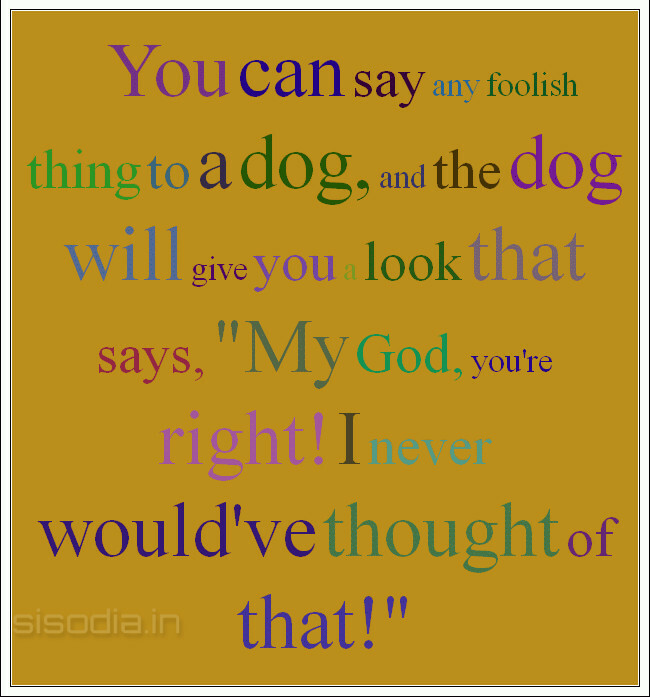 You can say any foolish thing to a dog, and the dog will give you a look that says, "My God, you're right! I never would've thought of that!"